Dried beans cooked Greek-style until creamy with tomatoes and warm spices, a fresh, healthy alternative to American-style sugar-heavy baked beans for parties, potlucks and okay sure, even for dinner. :-) Real Food. Low Cal. Weight Watchers Friendly. Naturally Gluten Free. Not just vegan, Vegan Done Real. The Conversation: How and why to cook dried beans in the oven instead of on the stove. It's super easy and there's no more boiling over a pot of beans! Let's Talk Beans, Dried Beans. So, people, dried beans. Who cooks them on the stovetop? Me, I did too! But almost every time, yikes, I would get distracted and the stove would be too hot and the beans would spill over. WHAT A MESS! You turn the heat down and carry on, of course but oh that stove is a total mess, really hard to scrub clean! Once, even, I didn't clean the stove for a couple of days. We had a condo on the Florida Gulf Coast for a few days and somehow, surprise-surprise, beach-walking and shrimp-cooking and key-lime-pie-tasting outranked cleaning a messy stove. Yikes. WHAT A STINKY MESS! So I experimented with cooking dried beans in the oven instead of on top of the stove. What an easy, no-mess, no-fuss solution! You still pre-soak the beans, this hydrates the beans, makes them sweet and tender. Then it's time to actually cook them. First, bring the beans to a boil on the stovetop. This gets the water and the beans and the pot hot-hot-hot and shortens the cooking time in the oven. Then the pot goes into the oven and the beans cook away, no spilling over! For even cooking, I do find it's helpful to stir the beans on occasion while they're in the oven. Otherwise the beans on top cook less than the beans on the bottom. So far, I've cooked dried chickpeas, dried black beans and dried giant lima beans (several times) in the oven. All worked perfectly! It's a good system, cooking dried beans in the oven! So are you intrigued about the idea of cooking beans in the oven instead of on the stove? It's sure working for me! Don't They Just Sound So Good? GREEK BAKED BEANS, I just love the sound of this! The ultra-creamy bean and tomato combination is magnificent. And even though there's no cheese in Greek Baked Beans (unless you sprinkle a little feta on top, like I love to, just to finish), you'll swear they're full of cheese. But they're not! 1 tablespoon table salt (no skipping, no skimping! BEANS - SOAK OVERNIGHT Rinse the beans in a colander to remove any dust and grit, then place in a bowl that allows for the beans to almost double in size. Cover with water plus three or four inches more. Soak the beans overnight, at least 8 hours. In the morning, if any beans are sticking out of the water (and thus haven't soaked up liquid), discard them. Drain the beans, then rinse under running water. BEANS - START ON STOVE, COOK IN OVEN Set oven to 250F/120C. In a large, heavy pot, cover the beans plus an inch or two of water. Stir in the salt, no forgetting! On the stovetop, bring the beans to a boil and boil hard for 2 minutes. Cover and transfer to the oven. As the beans cook in the oven, stir them occasionally. Cook until the beans are soft and fully cooked but not breaking apart into mush, that's 60 to 90 minutes. Be sure they're fully cooked, then drain the beans. TOMATO MIXTURE In a large skillet, heat oil until shimmery. Add the onion, carrot and celery as they're prepped, sautée just until beginning to turn color. Stir in garlic and cook for 1 minute. Stir in tomato paste and spices, let cook for 1 - 2 minutes. Stir in tomatoes and cook just until hot. Season with salt and pepper. COMBINE & BAKE Set oven to 350F/175C. Stir the drained beans into the Tomato Mixture. Transfer to an oven-safe shallow casserole dish. Bake uncovered for 1 hour until the beans are bubbly, the mixture has thickened and the edges are beginning to caramelize. TO FINISH Sprinkle with feta cheese, if you like, put back into the oven to melt a bit. Sprinkle with oregano. SERVE Serve hot from the oven as a side dish. Greek Baked Beans are also excellent warm and at room temperature so are especially good for a buffet or a potluck. 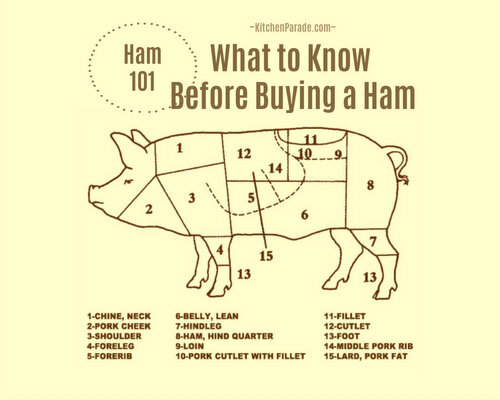 They also make an excellent appetizer, just supply slices of baguette for schmearing. ALANNA's TIPS Truth be told, there are particular dried beans called "gigantes" from Greece, gigantes means "giant"! If you like, order the real (albeit pricey) thing from Amazon. I've only used dried "large lima beans" which themselves may be difficult to find. But yes, look for bags of beans that read "large lima beans," that's the actual bean name. Substitutes: Look for cannellini beans, that's another white bean that gets creamy. Great Northern beans and Navy beans are also white beans but don't get as creamy when cooked. During tomato season, I'd consider substituting ripe summer tomatoes for the canned tomatoes. On occasion, I've added red bell pepper to the onion-carrot-celery mixture, it adds just a touch more color, nice! I've also been tempted, once the dish comes out of the oven fully cooked, to stir in some tender leaves of spinach just before adding the feta. Wouldn't that be pretty?! If you happen to have an old bottle of ouzo, the licorice liqueur from Greece (believe it or not, I do, it gets used a tablespoon at a time for biscotti every couple of years so will last a lifetime or more), join me in trying this version of Gigantes Plaki. Wikipedia says here that in Greece, Gigantes Plaki is cold-weather food. That's so funny because to me, Greek Baked Beans are totally summery! NUTRITION INFORMATION Per Half Cup: 86 Calories; 1g Tot Fat; 0g Sat Fat; 1mg Cholesterol; 518mg Sodium; 22g Carb; 11g Fiber; 4g Sugar; 6g Protein. 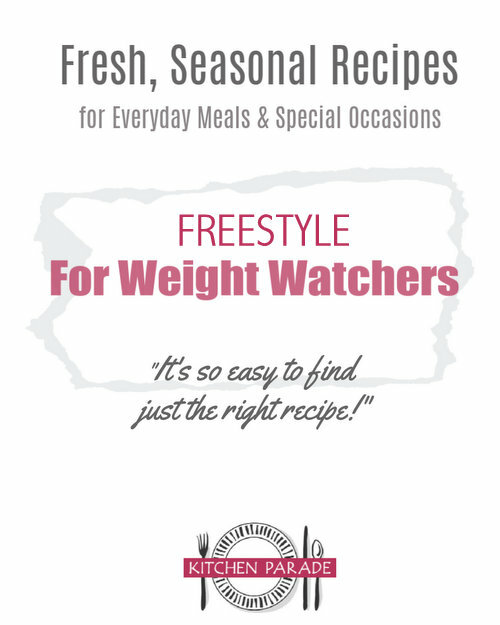 WEIGHT WATCHERS POINTS Old Points 1 & Points Plus 3 & SmartPoints 3 & Freestyle 1. CALORIE COUNTERS 100-calorie serving = 9 tablespoons (4g protein). I first learned about Greek Baked Beans from my dear friend Pille from Estonia more than two years ago, here's her recipe. I've been making them ever since! Imagining the Mediterranean: More Greek Inspiration! This looks great - but, in the instructions, you say”Stir in tomato paste, honey and spices“ but there is no honey listed in the ingredients. How much honey should I add? This sounds terrific! I'm a fan of anything Greek. However, you mention honey in the instructions but not in the ingredient list. Can you clarify that? Thanks! How much honey in the baked beans??? NtaGlass & Mama Peck & Kate & FHoop ~ You guys are hired! What eagle-eyed editors you are, thank you! The first couple of times I made this, I did use a little honey but in the end, decided it didn’t add enough to carry on. The recipe is now fixed to reflect this, thank you for taking the time to ask and to make sure the recipe is “right”. This may seem like a silly question but could you provide a couple of suggestions as to what to serve this with? I fell in love with these when TJ's carried them already prepared, the label read Giant White Beans (Fasolia Gigantes) in Tomato Sauce, a Traditional Greek Recipe. I hate it when TJ's gets me hooked and then makes me go cold turkey! I haven’t yet found a good bean substitute. I tried Rancho Gordo for dry beans but wasn't impressed. Viviano's carries the dried large lima beans, but they are not the same. Kate ~ No silly questions, some times I get stuck on what to serve with something too. The first thing is, this is beans so slightly starchy, so if it’s me, I’d avoid serving something else that’s starchy like rice or pasta or even bread. (That said, I love-love-love schmearing this stuff onto thin slices of baguette! But that’s different, right?!) For protein, grilled chicken, BBQ chicken, or pork tenderloin or something cooked outside or on the stove since the oven is busy with the beans. And a veggie salad. That’s it, the big three! Hope this helps?! So glad you asked! Help, I want to make this recipe. Can it be converted to a slow cooker. Really want to make this dish this weekend. I don’t know, frankly I’m not a fan of slow cookers and find their results to be completely uneven and unreliable. I hope your beans are soaking! Good luck, let me know how it goes. Finally got around to making the Greek Baked beans yesterday. I have to tell you the procedure really wasn't as bad as I thought it would be. My husband and I enjoy cooking together with the added pleasure of a glass of wine. I do the prepping and my husband does the olive oil "shimmery" part of the cooking. In as much as that part of the recipe was mid afternoon we decided to go without the wine but we still had a good time. Well I have to tell you the end result was wonderful and your recipe is now filed in our gold recipes. Usually I wait a night or two to serve leftovers but this time we are both looking forward to a repeat dinner this evening.